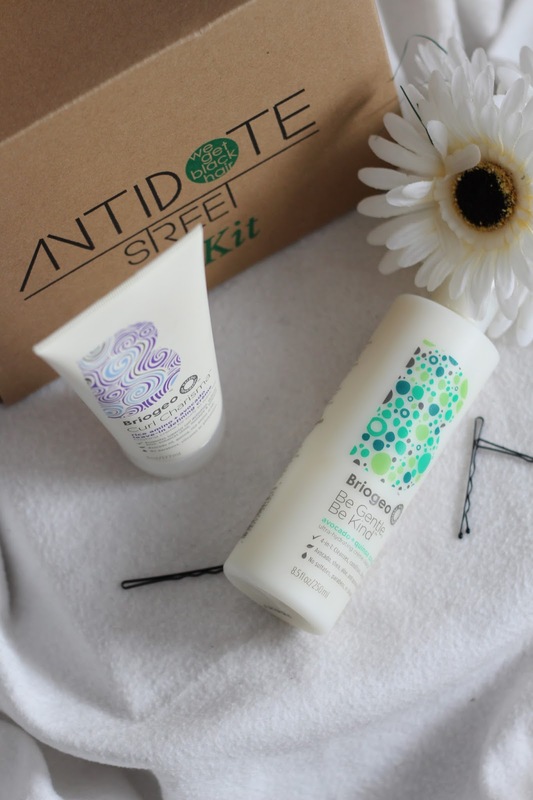 Briogeo & Antidote Street VS The Wash n Go'. The Wash n' Go. The words that can fill most natural's with fear. For me, there was a brief golden period post dying my hair a strange orange colour, where the wash n go was my thang. My curls were poppin', defined and moisturised, but somewhere between me cutting off all my hair again and forgetting the quick, easy and painless method i used to get my hair so lush, the wash n go has escaped me and i've not had much luck over the past two years in trying to find the balance between curl definition, shrinkage and that awful crunchiness from products, with very little luck. Winnie Awa, founder of Antidote Street (which is a veritable treasure trove of all things black hair - seriously check it out, so many American products that are hard to source are stocked there) and all round girl boss (*cue girl crush and heart eyes emoji) sat down with me a few weeks ago over coffee at Timberyard in Soho and we talked all things hair. 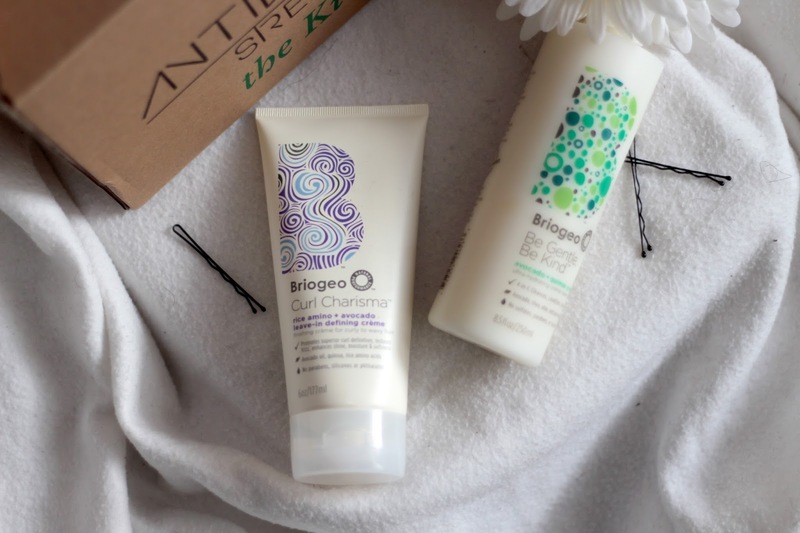 As I'm currently switching out my hair staples due to my hair getting longer and thicker, and trialling new ways to do things, we decided to collaborate on this post and because of the weather becoming more humid and hot, i thought to throw things back a little and try out the wash n go again, this time armed with products from Briogeo. 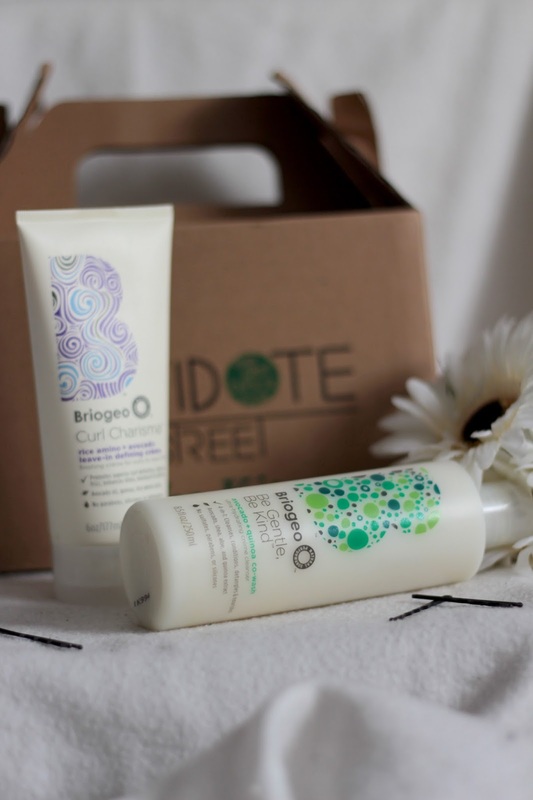 Focusing on quality, natural ingredients, Briogeo aims to care for all hair types and after seeing so many reviews on the 'Be Gentle, Be Kind Avocado & Quinoa Co-Wash' and the 'Curl Charisma Rice Amino & Avocado Leave in Conditioner', I was intrigued. 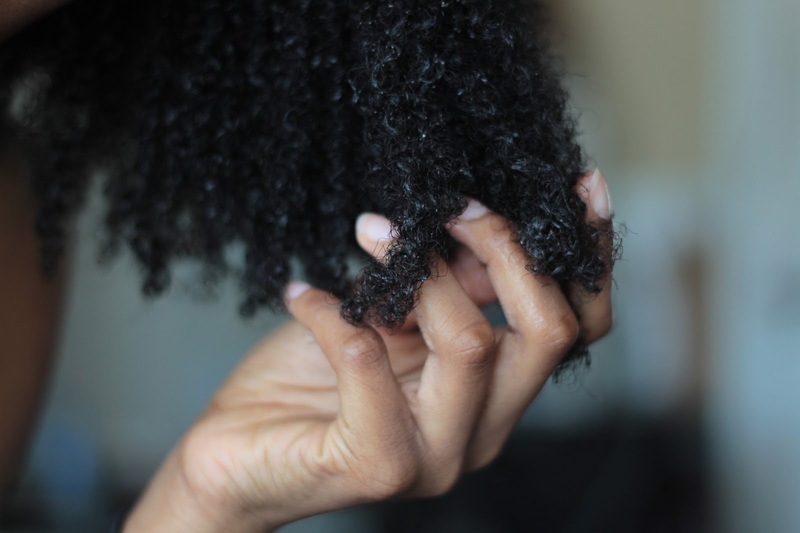 I applied the Co-Wash to my hair in four sections, distributing it with my hands and brushing it through with a Denman in the shower, I also applies the Curl Charisma in the shower too, on hair that was soaking wet for maximum definition and minimal frizz. The verdict? 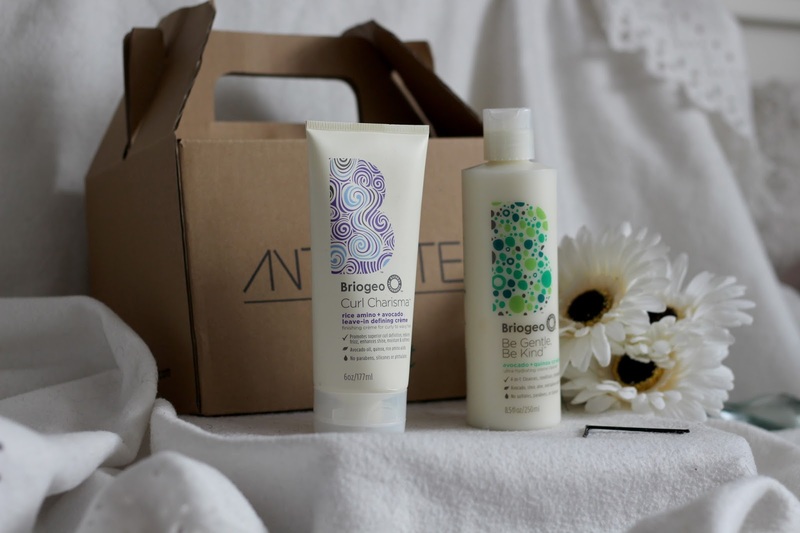 My favourite has to be the 'Be Gentle, Be Kind Avocado Quinoa Co-Wash' because of it's moisturising properties and the fact that it left my hair feeling squeaky clean, but pillowy soft with the cuticles smoothed down. 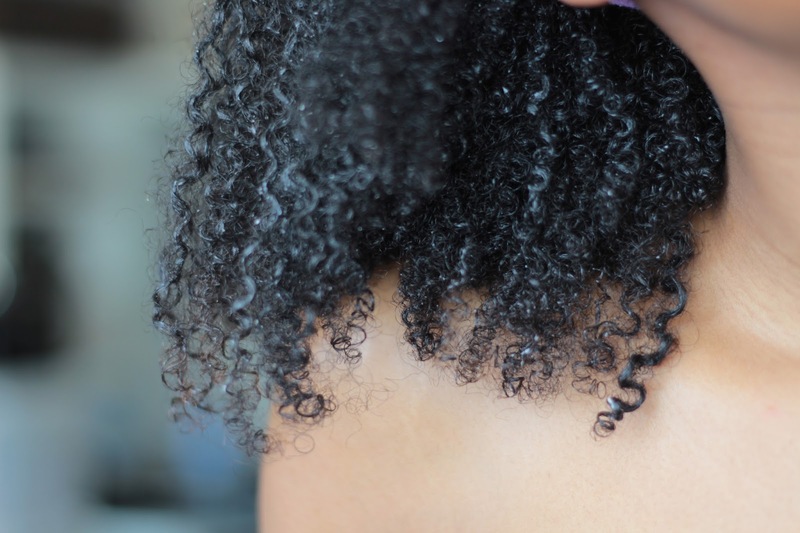 I think the Curl Charisma has pretty cool ingredients, but as for moisture and curl definition? It was ok, but I put that down to the product maybe being better suited looser type 3 curls rather than type 4 coils. For my hair, i need something a bit heavier to really get it defined and frizz free and although my wash n go wash soft and non crunchy, it didn't weigh it down enough for it to not be completely frizz free so I pulled it up into a puff rather than leaving it down the whole day. What new products have you guys been trialling lately? I can't seem to stop myself these days, I am a product junkie and proud! The Transitional Edit With Boden.